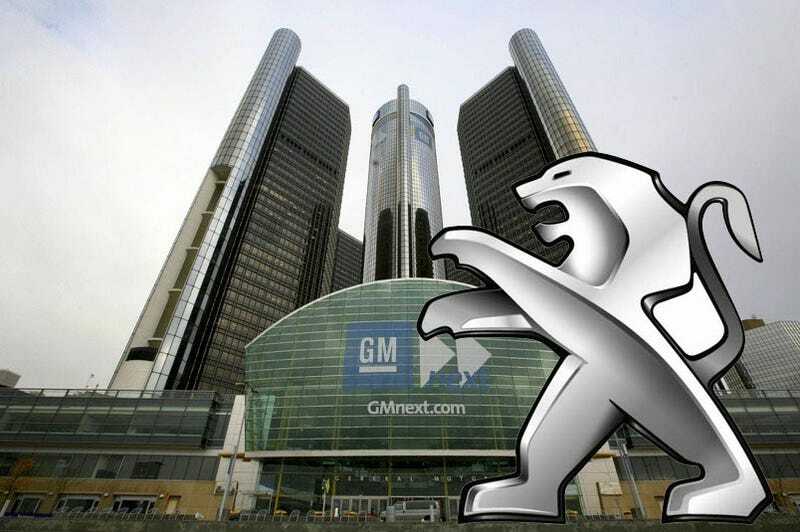 GM has officially teamed up with PSA Peugeot Citroën In order to stop losing all the money they're earning in the rest of the world in Europe on Opel/Vauxhall. Or, to put it other terms, they've dumped their weirdo Swedish girlfriend and picked up a tiny underfed French woman to help raise a better family. In an announcement on the GM investor website the company says they're planning to buy a 7% chunk of equity in PSA Peugeot Citroën, making them the second only to the Peugeot Family Group in ownership. GM says there are two pillars around which the deal is built: platform sharing and purchasing. By merging their $125 billion in purchasing power they hope to keep supply costs down. More importantly for enthusiasts, this means future global products for Peugeot built on GM platforms and vice-versa. This will be limited at first to small cars, midsize vehicles, and MPVs/Crossovers with the first joint-produced vehicle expected in 2016. If we had money on it, we'd bet GM could finally land itself a good small Transit Connect-like van in the form of the next-gen Peugeot Partner/Berlingo and the French can pickup a new mid-size sedan based on the Insignia/Regal Epsilon replacement. The companies will also consider developing a new common platform for low emission vehicles. The companies will reap an estimated $2 billion in savings by 2017.